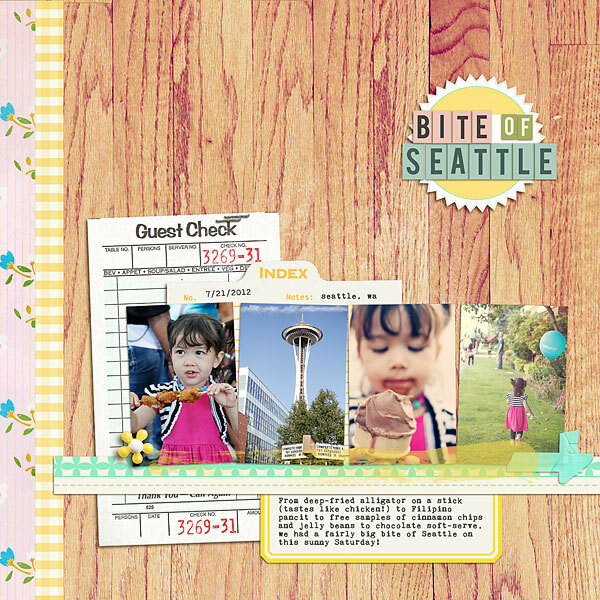 an exclusive alpha, “In the City” and exclusive digital scrapbooking kit “Fleetwood” as your FREE gifts. 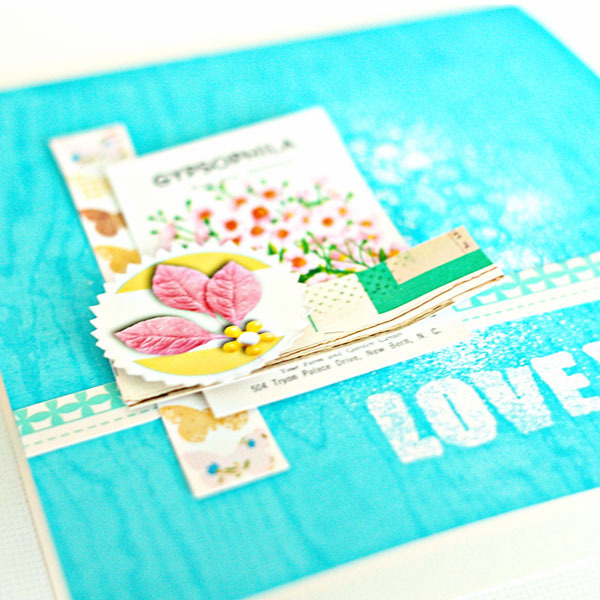 Creating this kit, I was inspired by the last golden days of summer – when the scorching heat waves have passed, and all that’s left is packing up the family RV for a last run to the lake, or sneaking in a few swims before Labor day. Filled with soft yellow and turquoise flowers and plastic daisies, doesn’t this remind you of days past?” “A gramma with a house dress, ankle socks, and plastic sandals – out tending to her mix of real and plastic plants, filling her hummingbird feeder, and straightening her flamingo.” This kit is sure to help inspire you to scrap many of your fleeting memories! 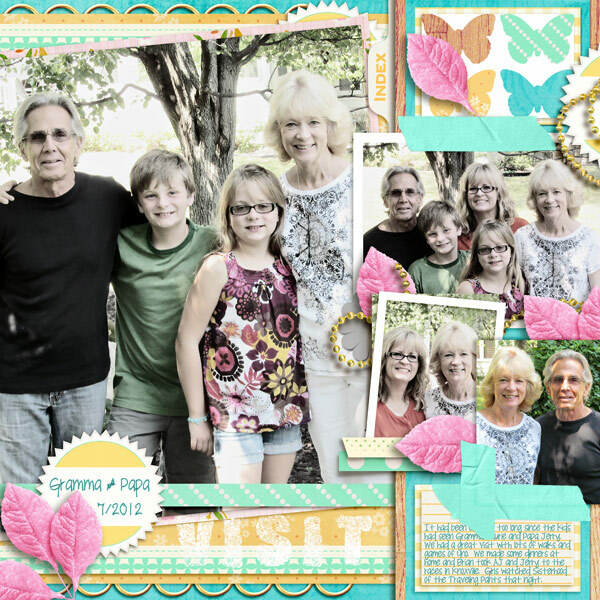 Capture the magic of those warm, sun-filled moments with my “Fleetwood” kit. Kit contains: 8 papers & 24 unique elements. this kit is seriously amazing! thank you so so so much!!! Thank you for this kit – it’s gorgeous ! This is a beautiful kit. I want to use it right away, but I ‘m too busy at the monument! Thank you so much for this wonderful kit! I’ve never signed up for your newsletter, but I do have several of your kits. I think I first found you on The Daily Digi…..thanks again! You are SO welcome!! Glad you found the newsletter. Enjoy! OMG, it is so beautiful!!! I just got and I love it! Thank you very much Krista! Thank you for the beautiful kit. I love the pink/yellow/aqua color combo. 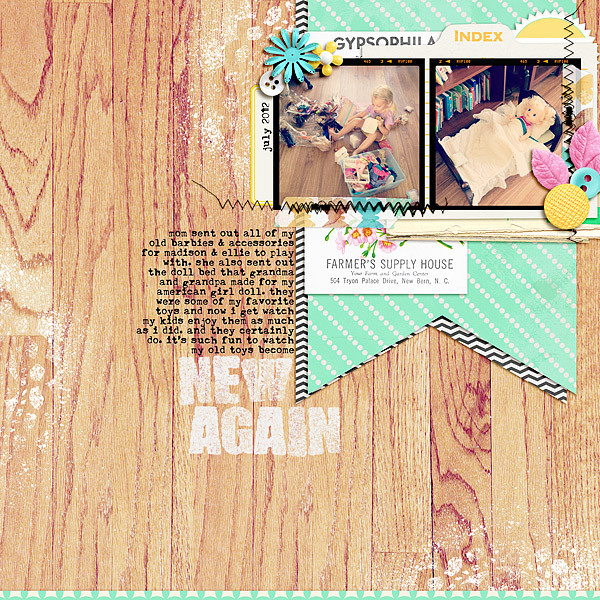 I have to admit that I also copied some of your layouts from your blog to keep with the kit for inspiration. Thanks again for the wonderful kit. That is a FABULOUS idea!! These ladies are talented, for sure. I love to save layout for later ‘lifts’ too. Have fun! You are amazing! not only do you design the most fantastic kits you then give them away! I just signed up for the insider and can’t wait to use this beautiful kit. Thank you very much! how did you get the alpha? I have been signed up for some time already, and I got the email for the kit, but don’t see the link for the alpha anywhere, just spent half an hour in the gallery looking for credits to see where everyone got it!? Help? (Thanks for the free kit by the way, it’s gorgeous! What alpha are you looking for in particular? I can help lead you to where to find it!! So glad you like the kit! I’m so glad you like them!! Have fun and Enjoy! So glad you LOVE the kit. I was hoping everyone would! in a newsletter approx. 1 day after your sign up!! This kit is gorgeous – but I would expect nothing less! Thank you for sharing it with us! 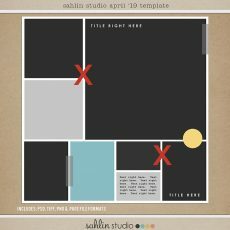 In the meantime, there is a gorgeous kit freebie on Sahlin Studio’s facebook page! IT’s totally amazing, thank you!!!! What a sweetie you are to share that info! I’m a bit older that you – Fleetwood is a Cadillac. All I could picture was the Cadillac cars my grandmother used to drive. Now my father drives a DeVille. How COOL is that!!! I knew it reminded me of that era. Thanks for sharing that tidbit! Thank you for the freebie, Krista! It’s the only way I can “shop” right now. Bless you. Love the kit! Thank you! Thank you so much for this post. 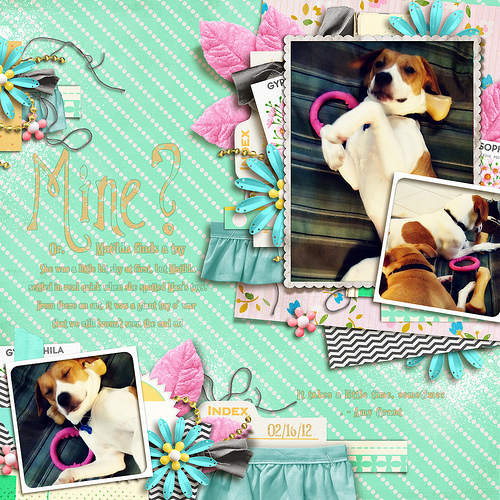 I want to let you know that I posted a link to your blog in CBH Digital Scrapbooking Freebies (please, notice the new url for my blog), under the Page 5 post on Aug. 09, 2012. Thanks again. Thanks so much for this kit, it is super cute! I subscribed, but I cannot download. Please help. thanks for a great opportunity to get an amazing free kit. I’m so happy you came over to check things out!! Be sure to pop in the FREEBIE section, and grab some goodies. 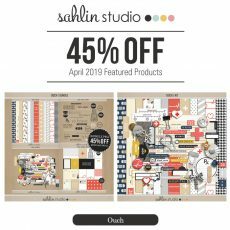 Hope you like the Sahlin Studio community. Oh my goodness… this is sooo cute!! Love the pics of your pupper. This kits beautifully set off these great pictures. Thank you for sharing. 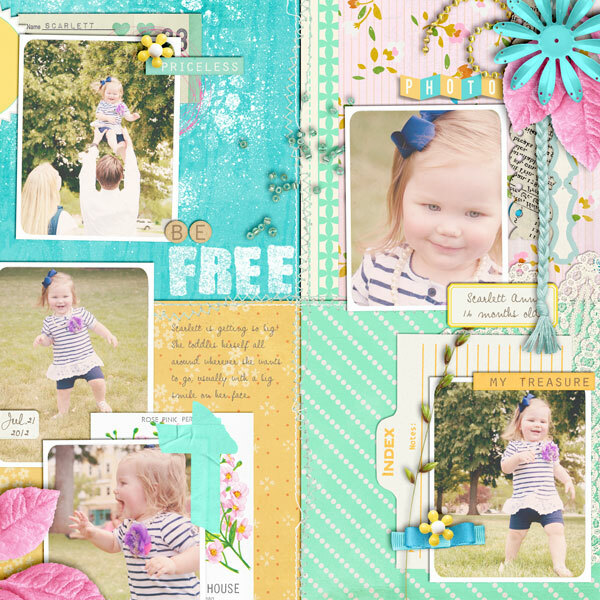 I love see pages! I have missed your newsletter with the free kit in it. Any chance you could send another one? I love your kits and this one looks so cute. Thanks for your help. Wow! LOL This is such a neat kit! I thank you! i have never received anything for signing up for your newsletter. Hi sweetie. If you’ve just signed up, your links will come within 1 Day. If you are already a Newsletter Subscriber, this kit was sent out in a newsletter two weeks ago. Hi, Just took a look at your site, really good, very interesting. Hope to get back soon. If you just signed up, an email should come in your inbox approx 1 day after you sign up. Be sure to check your SPAM box. If you were already a subscriber, this email went out to you on aug 8th. Yea! The link is in and downloaded. Thank you so much! I sent it off again to you this morning Jean!! Enjoy! Thanks for sharing, such a beautiful kit!!! Thank you for the kit. I have Ideas for it allready. 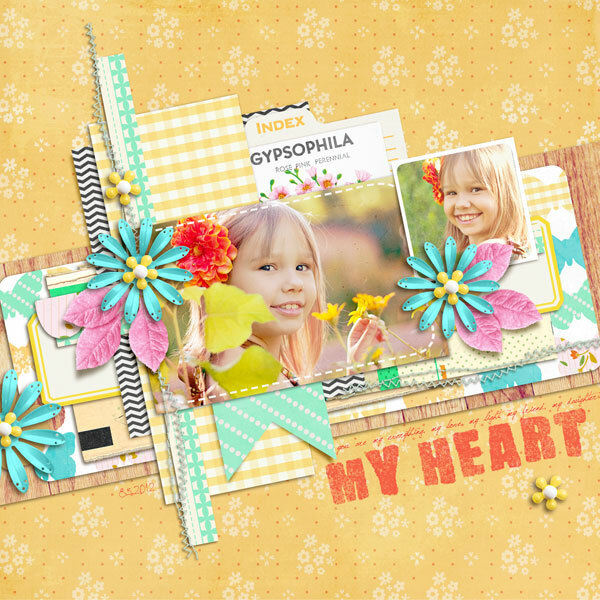 Wow this is an amazing kit…I just started on the traditional side but I did my digital LO for the first time with this kit and I really had fun doing it…its a FABULOUS kit…I will surely be doing more layouts using the kit…Thank you so much for sharing!! I am SO glad that you love it!! Thanks for kind words. I am subscribed to newsletter, but can’t for the life of me figure out how to claim this free kit. Help please? Thanks much. thank you. this is cute. Hello, I subscribed and received the welcome download of the alpha letters (THANK YOU btw) I love them but for some reason I have not received the download link for fleetwood. I have checked my inbox and spam box and it is not in there. I subscribed on the 22nd. Should I give it more time? Thanks…I’m eager to use it! LOVE it! Thanks for making it available. You should receieve an email 24 hours after signing up for the newsletter. I have signed up but have not received the Kit yet? How do I get it? I signed up, yet can’t get this kit. Why? I never found and its two years later thinking about it again….could you re-send it? It comes 24hours after signup. You just signed up yesterday… so it would be arriving soon!! I have signed up for the newsletter twice now and emailed you and have still not received the link. Starting to get frustrated as I want the kit to finish a page for my daughter. Thanks. Hello Meghan. I just checked my MailChimp list and I don’t see your email listed as subscribing? I’m not sure what happened there (if Mail Chimp went down for a night or something?) Would you like for me to add you onto the list? I have signed up for the newsletter more than 24 hours ago, checked my junk mail, and didn’t receive any file? can you please send me? Hi Tal. Hmmm… I just checked my MailChimp list and I don’t see your email listed as subscribing? (I’m not sure what happened there.) Would you like for me to add you on? I cannot download only this file. First of all, I loved your site and everything you do! Congrats! I subscribed (more than 24 hours) and received the welcome download of the alpha letters (thank you so much)and I love them, but I have not received the download link for fleetwood. Can you check if I have done something wrong? I see that you are on the mailing list. The email with the alpha kicks off immediately, the fleetwood kit 24 hours. All I can recommend is to check your spambox or that it accidentally got deleted. If you still haven’t received it, send me an email: sahlinaks@aol.com! I have tried to sign up for your newsletter but have yet to receive a confirmation that it has worked. I think I added you to my contacts thru google plus & I have checked my spam folder too. It has been a while too. 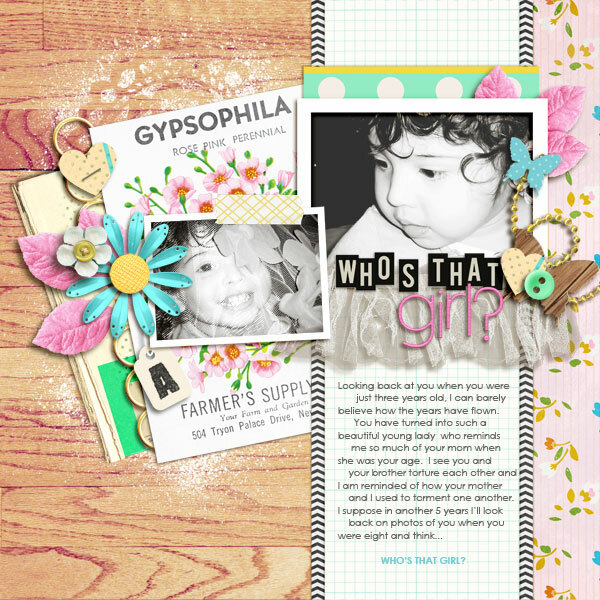 I’m brand new to digital scrapbooking and your digital scrapbooking kits and add ons are simply adorable! Thank you so much for this wonderful free download! I’m so excited to try it out! Hi….. I signed up for the Newsletter over an hour ago, I have still not received a confirmation email to tell me that I am subscribed. I have tried to re-do it and it still says that a confirmation email will arrive. I have checked my spam folder as well. HELP !!!!! Hey, I’m also having the same problem, except I signed up hours ago now. I checked my spam folder and reloaded it multiple times, but it’s still not there. Any help would be amazing!! 🙂 Thank you!! Hi, just like to say, the email literally just came through!! Thank you so much for this beauitful kit!! Its gorgeous! Hi, i signed up three times and still haven’t received any confirmation email. Pls help! Thanks. That is so so strange!! I added you today (You were NOT on the list). So you should get some emails starting today!! YAY!! Welcome. Thank you SO much – I absolutely love this beautiful kit!